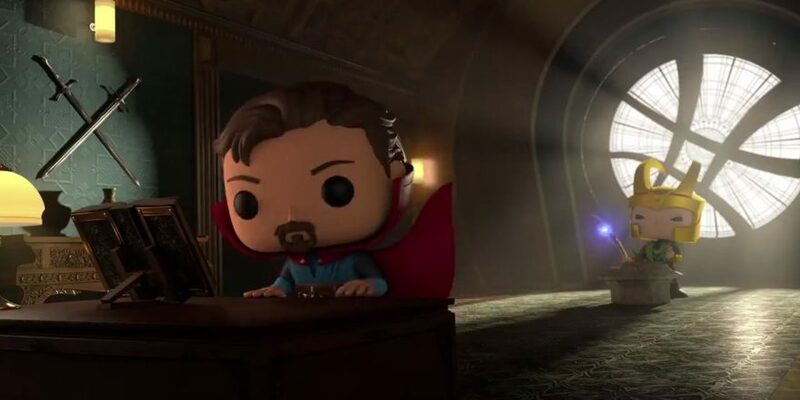 Loki Faces Doctor Strange In Marvel Funko's Latest Short, "Time To Unwind"
We may never get to see Doctor Strange face off against Loki on the big screen, but that's perfectly okay! Why? Because Funko and Marvel have decided to make that fight a reality in their latest Pop! short film, titled "Time to Unwind." The brief short features a Funko-ized version of Loki sneaking into the Sanctum Sanctorum to steal the Eye of Agamotto, only to be confronted by Doctor Strange's Cloak of Levitation. This is what happens when you dare to interrupt Strange in the middle of his studies. Loki is a popular choice for Marvel and Funko's movies. He also faced off against Thor in "Mjolnir Mischief" last month, right around the release of Thor: Ragnarok. Other movies include "Cosmic Sleigh Ride" featuring Star-Lord, "Bait N Switch" with Rocket, Groot, and The Collector, and "Chimichangas" with Deadpool and a hungry Venom. You can check those out below, as well!